This time of year, I often think about a patient I had who came to see me because she felt she was getting various infections on a very regular basis. She reported ear infections, sinus infections, bronchitis, and even pneumonia. Working for a San Antonio area school, that wasn’t good for my patient. She missed so much work due to illness that her boss began to put pressure on her for accruing so many absences. And understandably so. My patient told me she believed she simply had a weak immune system. If something’s going around, I’m bound to get it, she’d say. But the truth is, an immune system – your immune system, should be equipped to fight off common viruses and bacteria. 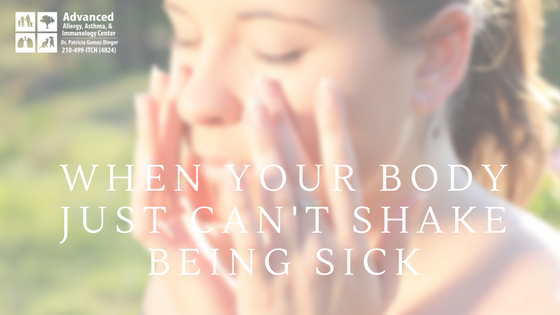 If it can’t, that is usually a sign of a larger problem having to do with the immune system. A big, however much less talked about part of what I do, is Immunology. I am a Board Certified Allergist and Immunologist which means I have gone through specialized training and extended years in fellowship studying immunology, or, the branch of medicine and biology concerned with immunity. The immune system is so important. It protects us from infection through various lines of defense. When it doesn’t function properly, It can result in illness and infection. Back to my patient who visited me due to recurrent infections and illness, however. After running tests, spending ample time really talking with my patient, and going over her history of well and sick periods, I was able to determine that my patient had low Immunoglobulin levels. 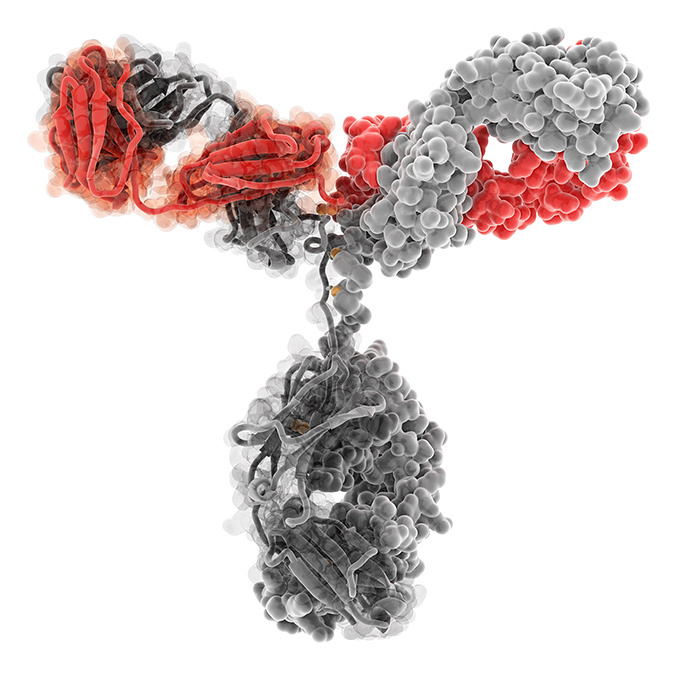 Immunoglobulins are antibodies in our blood. The patient’s blood test showed she didn’t have sufficient levels of those important antibodies to fight antigens. As a result, my patient was getting sick requiring antibiotics every month. To better understand Immunoglobulins, imagine an army. Armies can be weak or strong. When your immunoglobulin count is low, your army is missing some of its soldiers. As a result, it is weaker than it should be. Imagine trying to win a battle with one one fourth of an army than your opponent. Sometimes an army needs to increase its numbers, or, perhaps even bring in the big guns to make up for what it’s lacking. As an Immunologist, that’s what I can help your body to do – strengthen its army. There is a treatment I often use for low immunoglobulin levels where we can replace what your body is lacking. It is available as subcutaneous or intravenous infusions. The subcutaneous form can be self-administered easily at home, basically giving your body the boost in needs. In the case of that army, the infusion helps your immune system increase its number of soldiers needed to fight an infection. For others, the problem is not the size of the army but a lack of special forces. These are specific antibodies needed to fight specific kinds of infections. Some patients are found to have an inability to create streptococcal antibodies because of their complex structure. Blood work will tell me if that is the problem. This can also be treated to really give your infection fighting army extra strength. Recurrent strep infections are common and many are faced with a treatment option of tonsillectomy when the problem might just be this lack of antibody protection that a simple vaccine booster could potentially remedy! Imagine if you could prevent having such a surgery by just getting a vaccine! There are other immune based problems I diagnose treat as an Allergist and Immunologist. Even a history of just one pneumonia is often a sign that you should have an immune work up and consultation with an Immunologist. Patients with immunodeficiency have infections that usually do not go away without using antibiotics and often recur shortly after adequate antibiotic treatment is completed. A lot of times I’ll use the frequency of the use of antibiotics to mark the frequency of significant infections. In all, I am seeing, diagnosing and treating what seems like more immune system concerns than ever. The good news is that with proper diagnosis, treatments are available. You can stop getting sick over and over again. That ultimately became the case for my patient who was nearing retirement in her job with our local school. I’ve rarely seen her since except now for routine follow ups. I sleep better at night knowing my dear patient is feeling good and able to live a more productive life, hopefully doing something she really enjoys without the threat of getting sick repeatedly. As always, if you or someone in your family gets pneumonia – even once, remember, it could be something we want to look into. Multiple, recurring infections should require a visit with someone board certified in Immunology. That one visit – that one co-pay – could save you many visits down the road, as well as, prescriptions, potential surgeries, and missed days from school or work. Best of all, your quality of life will increase significantly! 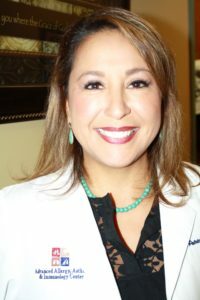 Dr. Dinger is a Board Certified Allergist and Immunologist at Advanced Allergy, Asthma, and Immunology with clinics in Stone Oak and Schertz, Texas where she sees both children and adults. Dr. Dinger is a mom of four who also has several fur-babies and a heart for rescuing animals. Dr. Dinger offers tips, patients stories, news on events and more on Facebook and Instagram. Follow us to keep up to date! ← Good news for Oak Tree Pollen sufferers – Peak oak season is behind us!